A brand new reader series starring two unlikely friends! 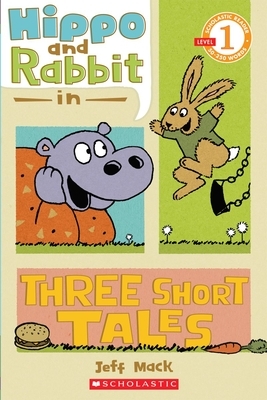 A trio of tales featuring two friends: Rabbit and Hippo are as different as night and day, but together they have fun all day and night! With Rabbit's help, Hippo's breakfast turns into a breakfeast. Then at the park, both are able to give the other the swing ride of their life. And finally, at bedtime both find that thunder and lightning aren't so frightening when you're with a friend. Jeff Mack has illustrated many books for children, including Hush Little Polar Bear, which he also wrote, and the Bunnicula series. He lives in Easthampton, Massachusetts, but you can visit him at his website: www.jeffmack.com.